Smells like winter at our house! Anyone out there remember my soup series based on John McCutcheon’s awesome song “Soup,” when we tried to cook our way through all the awesome types of soup listed in the song? Well this month John McCutcehon web site is offering the song as a free download! Head on over and check it out. It’s a great tune for winter days! Smells like winter at our house: Chowder made with clam! One of the best parts of our foray into soupmaking has been watching the imaginative play that has come out of it. Daniel loves pretending to make soup in his little kitchen… as long as he can steal a pot and wooden spoon from the big kitchen! Our “chowder made with clam” recipe was an old family favorite, made from a recipe in The Boxcar Children Cookbook. Jessie’s Clam Chowder: Makes 4 to 6 servings; we doubled it. Smells like winter at our house: Potato soup! February 28, 2010 / Annette / Comments Off on Smells like winter at our house: Potato soup! I’m playing catch up with our Soup posts. 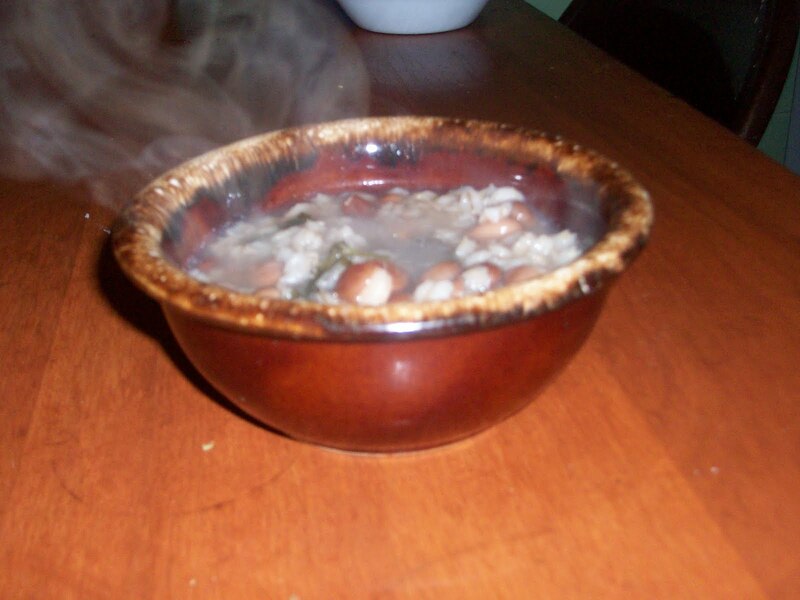 To read more about how we’re cooking our way through John McCutcheon’s song “Soup,” read here. 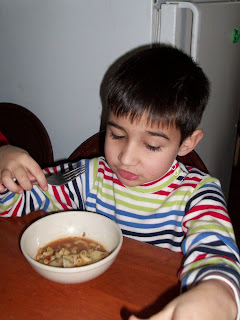 One of the things I love about making soup is it gives so many opportunities for the children to participate. We have lots of rhymes and songs to get us through the process, too. Cut off the bottom and cut off the top. What we have left, we’ll put in the pot. According to Wiki, minestrone is “the name for a variety of thick Italian soups made with vegetables, often with the addition of pasta or rice. Common ingredients include beans, onions, celery, carrots, stock and tomatoes.” There is no set recipe; rather, it uses whatever is in season… or, in our case, whatever is in the fridge. I did use a recipe as a base and tossed in homemade chicken stock, carrots, green pepper, celery, onions, beans, tomatoes, spinach and some elbows. 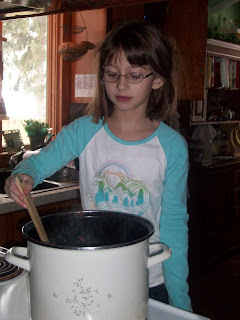 Then I just let it stew all morning as we did school. 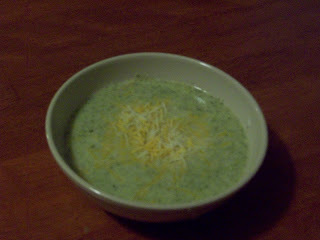 January 27, 2010 / Annette / Comments Off on Smells like winter at our house… Cream of Broccoli Soup! And Daniel is very thankful! 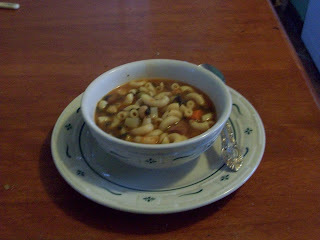 Smells like winter at our house… Soup with macaroni! 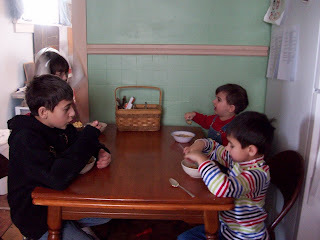 January 22, 2010 / Annette / Comments Off on Smells like winter at our house… Soup with macaroni! This was another soup we made last week for our soup challenge, and was a bit of a “throw it all together” affair: ground beef, beef broth, lots of veggies, including some cauliflower. And then we threw in some yummy spices. 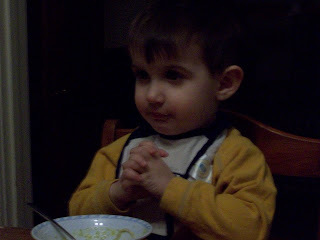 Nicholas is dubious, perhaps because he is trying to eat soup with a fork. In the words of John McCutcheon, “It only takes a little of whatever you’ve got”. 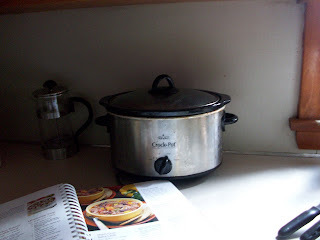 Smells like winter at our house… Chicken soup! I’m behind on the posting, but not on the soupmaking! As I wrote here, we’re cooking our way through John McCutcheon’s song Soup. Last week we made Quick Chicken and Dumplings from Southern Living’s Kids Cookbook. Actually, the kids made the soup. It’s not the healthiest recipe we’ve ever made, but it was quick and easy enough for the kids to do, and it was definitely yummy! Smells like winter at our house: Tomato soup! November 30, -0001 / Annette / Comments Off on Smells like winter at our house: Tomato soup! OK, I’ll be the first to admit, we cheated on the tomato soup. It came from a can. Not even a nice organic can, either. A CAMPBELL’S can. Sigh.